There were many, many things we got criminally wrong in the eighties. The mullet (guilty). The high-cut leotard (ouch). The novelty number one (Captain Beaky). And the idea that eggs are bad for you. Remember all those stern lectures on why we shouldn’t have more than one egg a week, as they were so full of dangerous saturated fats? For pity’s sake, some joyless individual even invented the egg white omelette. Shudder. But the good news is that eggs are back in. It turns out that far from being bad for you, eggs are super healthy – one of the healthiest foods you can eat. And the healthiest bit of the egg turns out to be the yolk, after all. Hurrah! Vitamin B12 (Cobalamin): 9% of your RDA. Vitamin B2 (Riboflavin): 15% of your RDA. Vitamin A: 6% of your RDA. Vitamin B5 (Pantothenic Acid): 7% of your RDA. Selenium: 22% of your RDA. 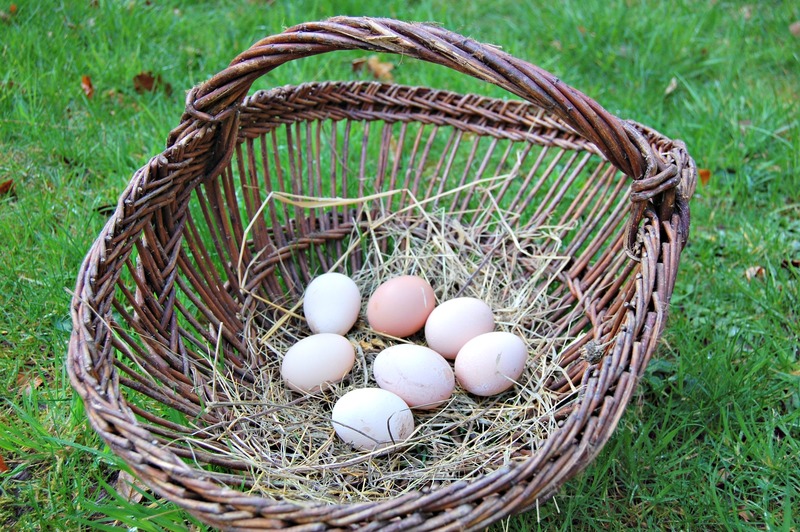 Eggs also contain, in smaller quantities, nearly every vitamin and mineral required by the human body… including calcium, iron, potassium, zinc, manganese, Vitamin E, folate and plenty more. Then there’s the high quality protein, the lutein and zeaxanthin that protect your eyes and the choline which you need for good liver, heart and brain health. But what about the cholesterol? Well, studies suggest that eggs improve your cholesterol profile as they raise HDL (good cholesterol) and change LDL (bad cholesterol) to a subtype not associated with heart disease. If you’re diabetic, you may want to go easy on eggs, as although most studies reveals no association between egg consumption and cardiovascular disease, some do show an increased risk in diabetic patients. Talk to your doctor or dietitian about that one. Otherwise, you can, once more, go to work on an egg. One other thing before we get to the recipes. Please, please, please buy eggs of the highest welfare standard you can afford. 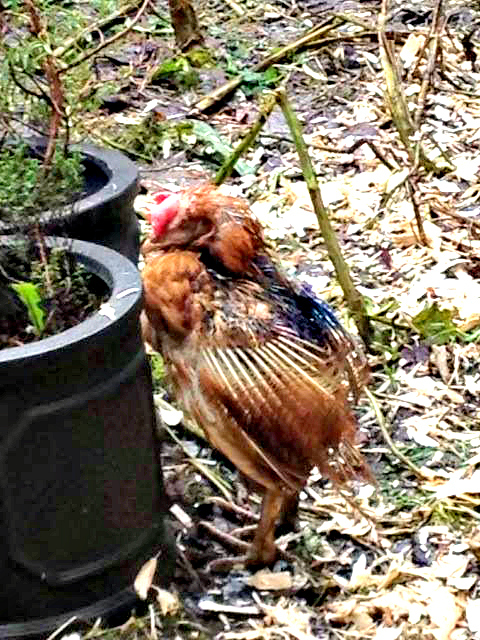 Having rescued some ex-battery hens a couple of years ago, I discovered quite what a wretched state caged birds are in. Some of them were so weak and featherless that they only survived a few weeks, and the rest took many months to start looking like chickens again. I think the picture speaks for itself. So, back to the eggs. 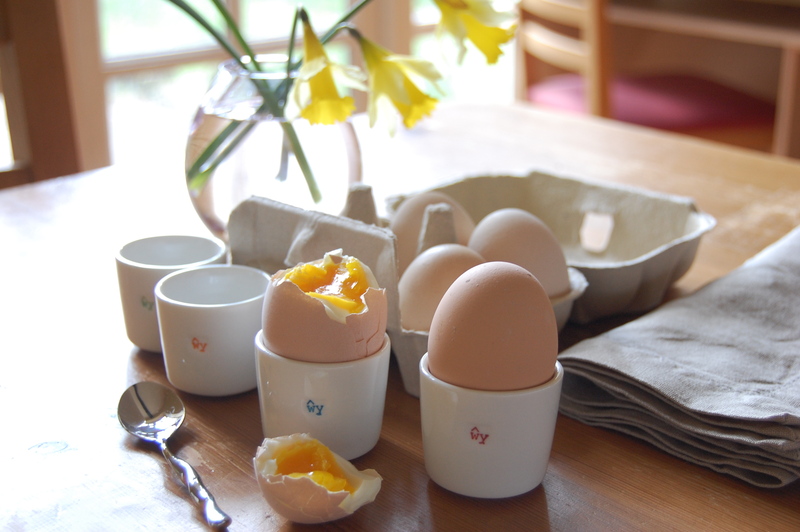 Whilst I love a plain, boiled egg with a tiny dab of salt, sometimes it’s fun to mix things up a bit, so here are three of my favourite egg recipes. This is arguably the most delicious breakfast in the world. Forget your green smoothies and your bircher muesli – this, served with a few sizzling slices of crispy bacon (or veggie bacon) and maple syrup, is just sublime, and it’s easier than it looks. I first came across it at the Quaker Diner – a gratifyingly authentic, old-fashioned diner in West Hartford, Connecticut which, I’ve since learned, is one of Esquire magazine’s top 10 diners in the world. 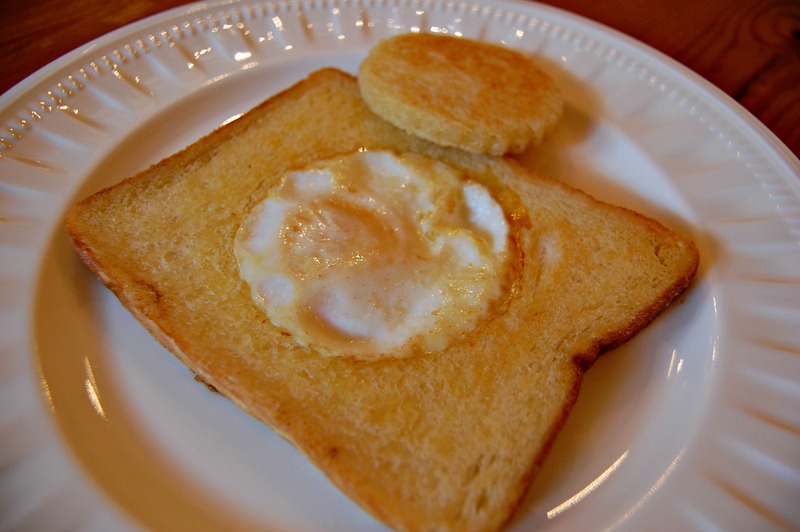 It’s a little bit of genius – fried bread with an egg nestling in a hole in the middle. Simple, cute as a button and totally satisfying. You’ll note that I’ve used white bread here, and I do so unashamedly. It’s the kind of dish that calls for sliced white bread and since I only have it once in a while I consider that just fine, though if you want to use wholemeal then go right ahead. Fry both bits of bread in the butter until becoming golden. Crack the egg directly into the hole and cook for a couple of minutes until it feels safe to flip. Flip the egg and fry until cooked through (this bit doesn’t take more than about a minute). Yep, I’m banging the Mediterranean drum again. This fabulously healthy egg dish is a north African and middle eastern favourite, often served for breakfast but actually a pretty perfect straightforward, one-pan supper dish. 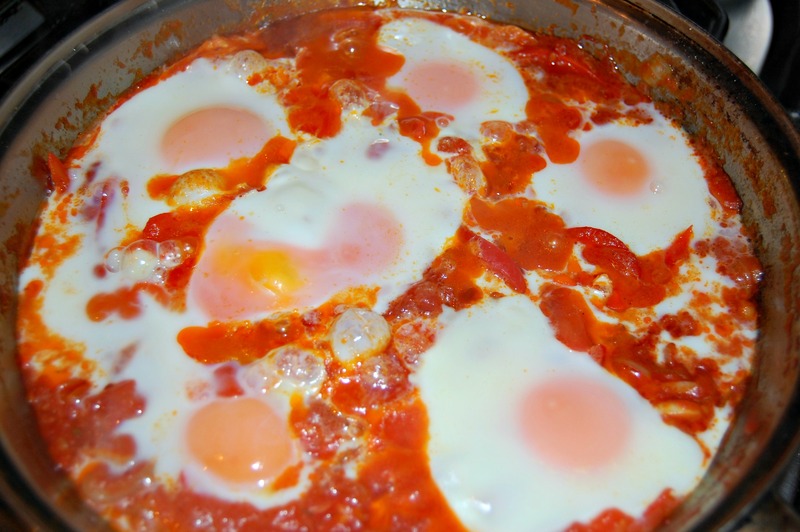 There are lots of variations on the theme, but the basic idea is a base of onion, tomato, red pepper, cumin and other spices, with eggs dropped in towards the end of cooking. I love the vibrant colours and the intensely savoury flavours. I usually serve it with salad and bread. I was going to say crusty bread, which sounds all rustic and wholesome, but the truth is it’s usually just ordinary, shop-bought, granary sliced bread. I’m not as fancy as I’d like to think I am. And as you’ll see from the picture, I managed to break one of the eggs when I cracked it into the pan and forgot to sprinkle on the chopped parsley at the end so it’s not quite as elegant as I’d have liked, but listen. Life isn’t lived in a lab, so I photographed it just as it was. Heat oil and gently cook onion and pepper until soft (about 20 minutes). Add garlic and cook for 1-2 minutes. 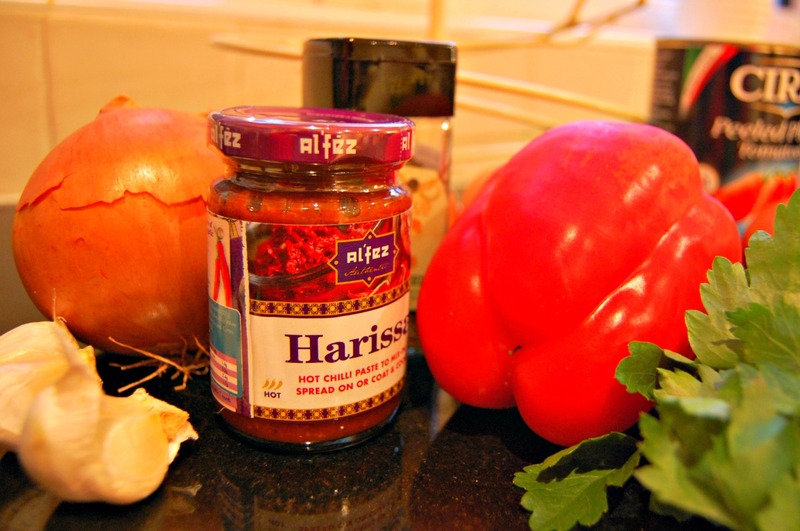 Stir in cumin and harissa and cook for a further minute. Add tomatoes and simmer until thickened (about 10 minutes). Make 6 well and crack in the eggs. Put a lid on the pan and cook gently for about 10 minutes until the eggs are set. So having travelled to America and the middle east, we’re now heading to my Granny’s kitchen in Northern Ireland. My Granny was a brilliant cook and baker and was a firm believer in butter as a necessary ingredient in pretty much everything (she even used to apply it to bleeding cuts for reasons best known to herself, but that’s another story). Her philosophy when it came to food was “a little of what you fancy does you good”, and since she lived to 101, I’m happy to go along with that, so the butter stays, as do the cake recipes she handed down. Anyway, one of my childhood favourites when Granny cooked for us was Egg in a Wee Dish, which I still have when I’m looking for a bit of comfort food and don’t have the energy to make soup. It’s dead easy. But you do have to serve it in a wee dish. Obviously. 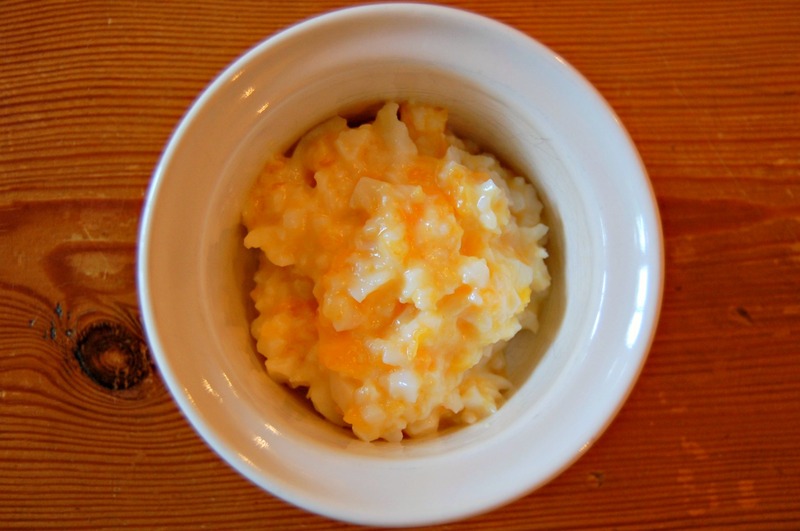 Mash with butter and season to taste. Serve – and this is essential – in a wee dish, with toast. 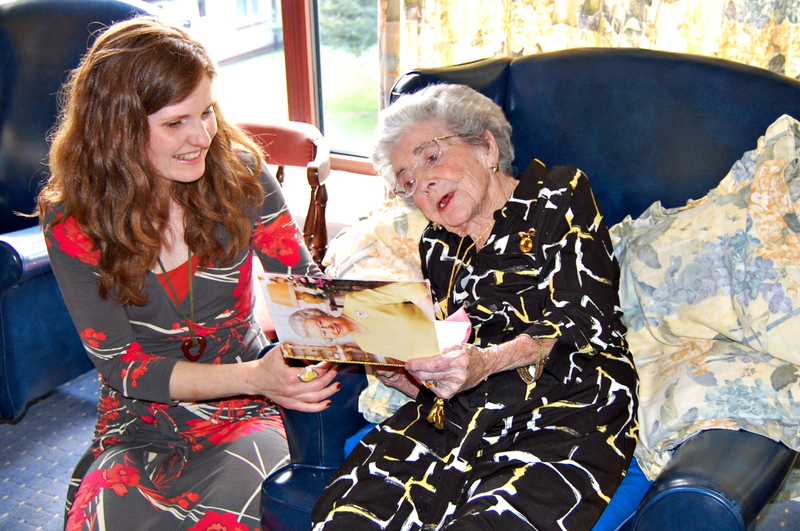 And to prove that eggs – and butter AND a little of what you fancy – are good for you, here’s Granny on her 100th birthday showing me her card from the Queen. 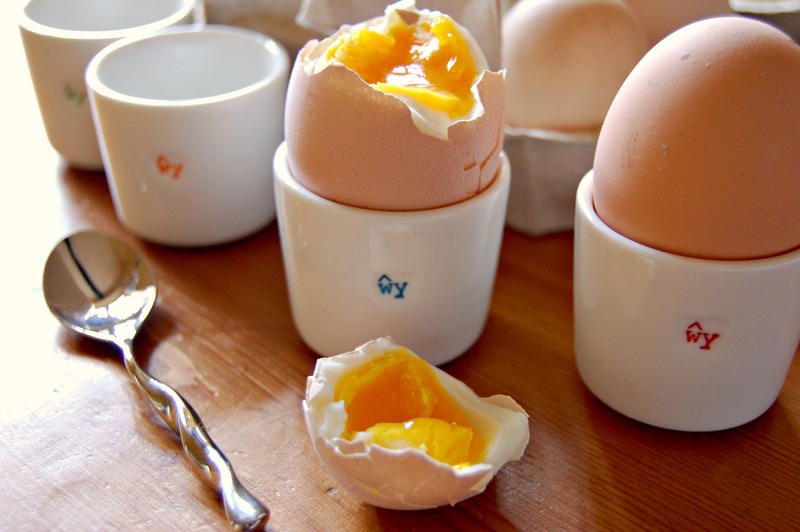 What are your favourite egg recipes? And do you have any handed down from an older generation? P.S. Many thanks to DW Fitness Club for supplying great, science-based information on the health benefits of eggs. Have a look at their blog, HERE. Love these recipes! 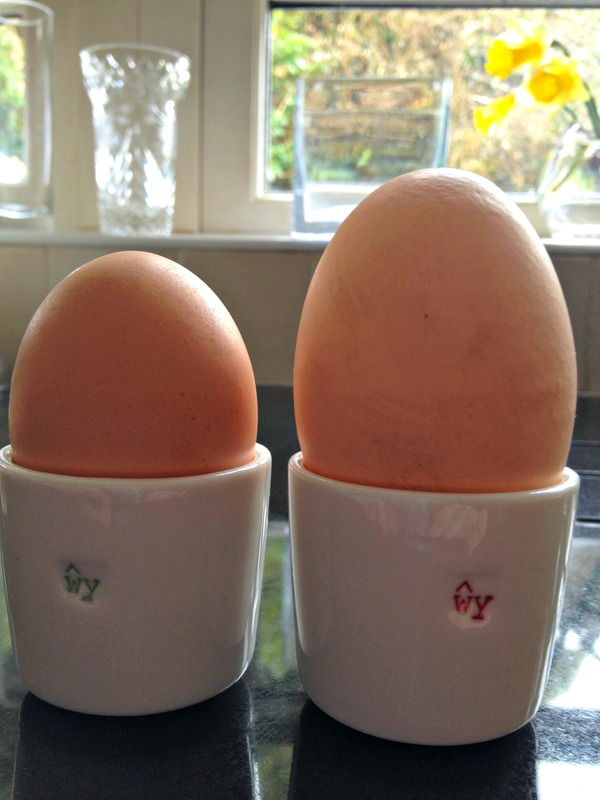 I have always eaten eggs every day - I was taught that eggs were the most 'complete' food you could eat. And I always buy free range too! BTW, the old battery cages for chickens are no longer allowed - birds are either in large cages in social groups, with perches etc, in barns or free range. 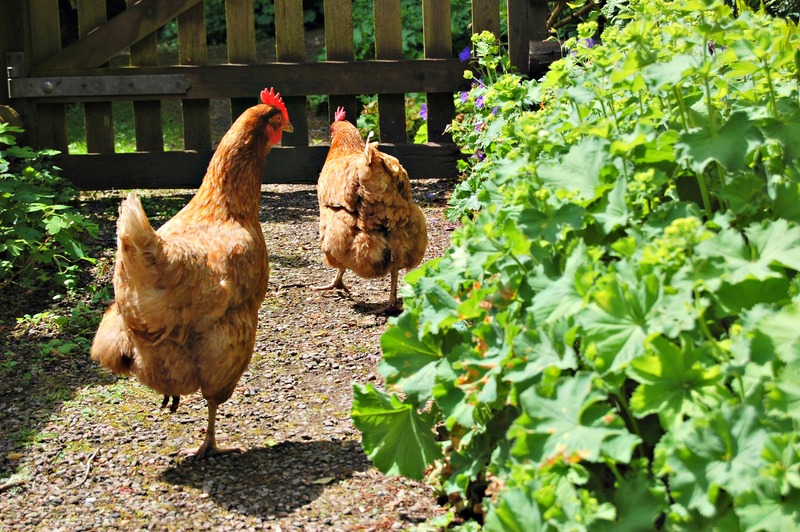 We rescued some battery hens over 20 years ago and they didn't have one feather on them - but they quickly grew new ones and laid eggs for years. My son rescued 4 laying ducks last year too - they took about 6 months to get used to the freedom of the garden but went on to discover the pond outside!